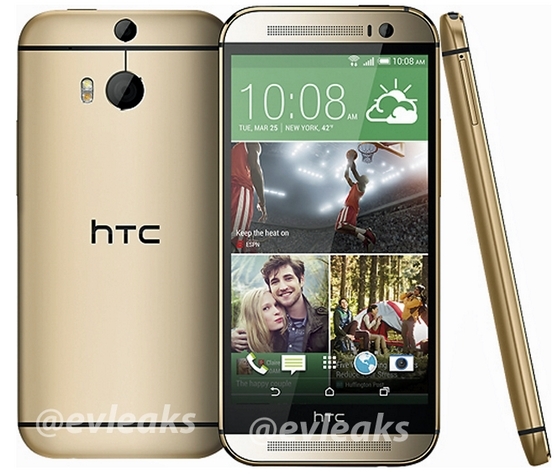 Is this HTC’s new flagship? As you should know, the internet has been ablaze with news of HTC’s 2014 flagship, the M8; however, HTC sent out invites yesterday for an event on the 25th of next month. The word on the street is that this event will be the unveiling of the M8, which will take place at 11AM EST and 4PM GMT, at New York and London; respectively. This date debunks the previous rumor of an MWC unveiling. The M8 codename for a flagship makes sense (see what I did there) for HTC since last year’s flagship was known as the M7 (HTC One) . However, there are no concrete details yet as it has not been officially announced, so nothing’s for sure. It is said to include a 5-5.2 inch display at 1080P (sorry, no 4K), with a Snapdragon 800 (or 805?) clocked at 2.26 GHz, with 2 gigabytes of RAM, and a Qualcomm Adreno 330 GPU. On the software side we are expecting Android 4.4 KitKat with Sense 6.0. As for the camera, there has not been much news, other than the fact that it will sport an Ultrapixel camera, and an additional rumor of dual rear-facing cameras. The build material is said to still be an aluminum body, with a thinner form-factor. The M8 is also said to feature on-screen buttons, which will allow for more screen real-estate. The M8 is also said to feature faster Wi-Fi, however; it will not include a fingerprint sensor as seen in Apple’s iPhone 5s.